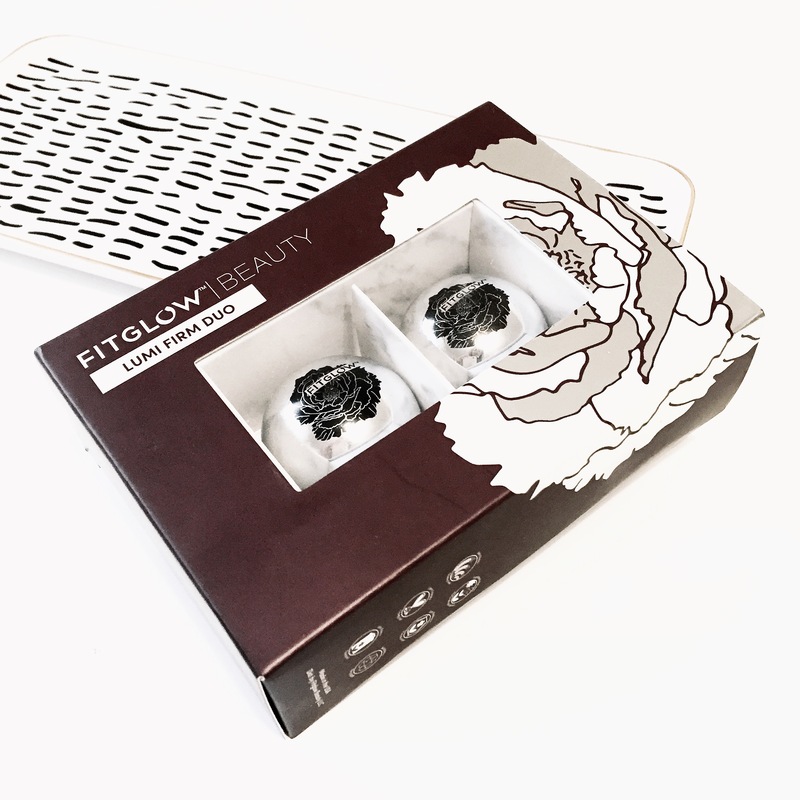 If you’re into green beauty at all, chances are you’ve been hearing about Fitglow Beauty. And, if you’ve been following my blog over the last few years, you know that this is one of my favourite brands on the block. My “deserted island choice” as they have everything ranging from high quality skincare to completely natural makeup (that doubles as skincare as its formulated with ingredients that IMPROVE your skin as you wear them rather than clog up your pores and wreak havoc on your system). 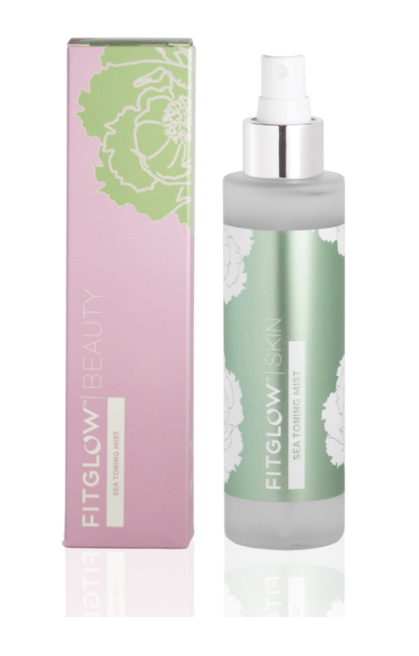 I have tried a good majority of the Fitglow Beauty Line, and I’m always being asked questions about their products so I figured I would put together a guide encompassing all of the products I’ve tried. 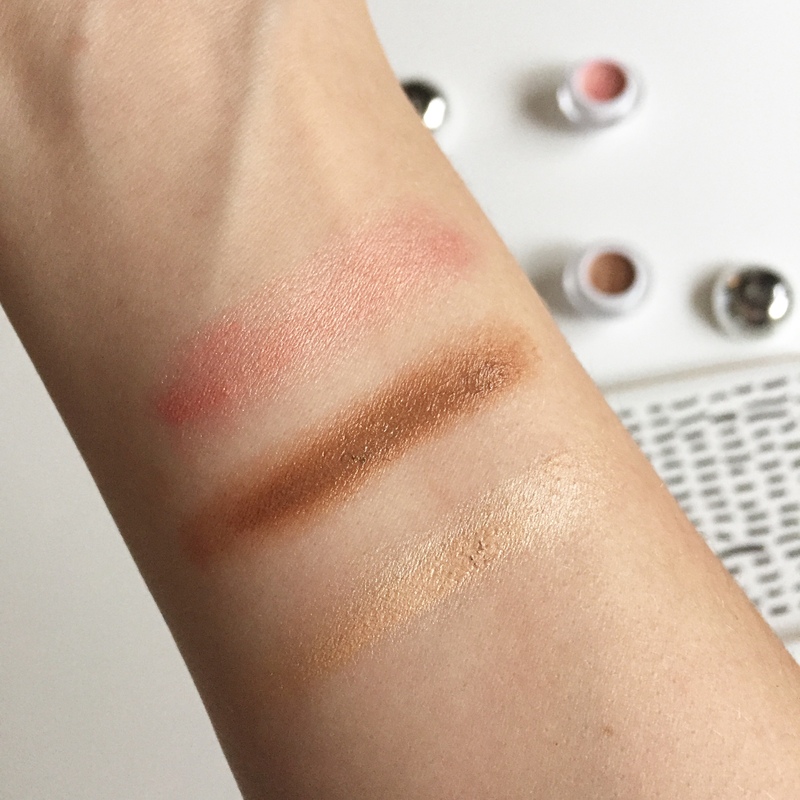 I’ll also link to some of my past reviews with swatches on specific products from their line for more information. Fitglow Beauty’s products are 100% Natural, Organic, 100% Cruelty Free Ingredients, Not Tested on Animals, Gluten Free, and Completely Plant Based. They really encompass a lot of high ethics within their brand which makes it accessible and useful for everyone. They stay away from a long list of conventional and chemically derived ingredients which ensures that your skin is gaining the benefits of complete plant based healing power in both your makeup and skincare. This is a brand I have used for 4 (maybe even 5) years now. I have watched their business grow and have been witness to a company that never waivers from high quality products or ethical standards. 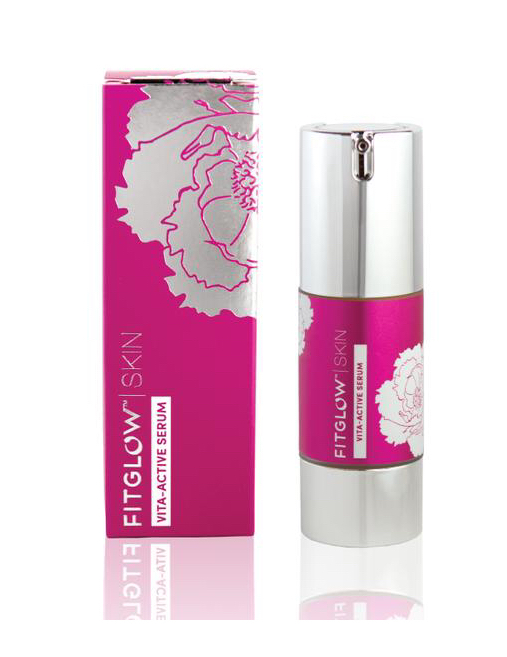 They take A LOT of time to research and create products rather than just throwing them together for the sake of sales and I think this is why so many people are becoming dedicated customers of Fitglow. Having started in Canada by their Canadian Founder, Anna, I cant help but be a little patriotic and proud of the origins of this powerhouse green beauty company. 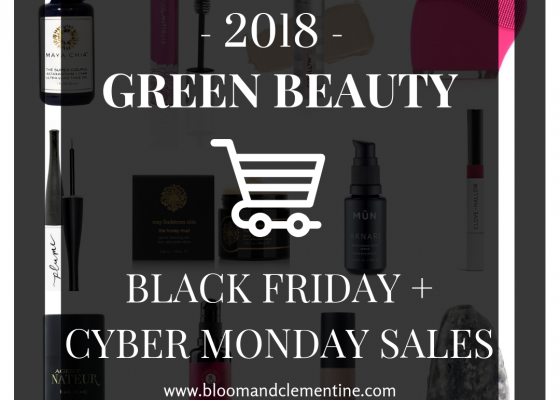 They are really taking the green beauty world by storm. I have quite the collection of Fitglow Beauty myself and so I decided I would put together a guide of the products I have used (the complete makeup collection and about half of the products in the skincare collection). 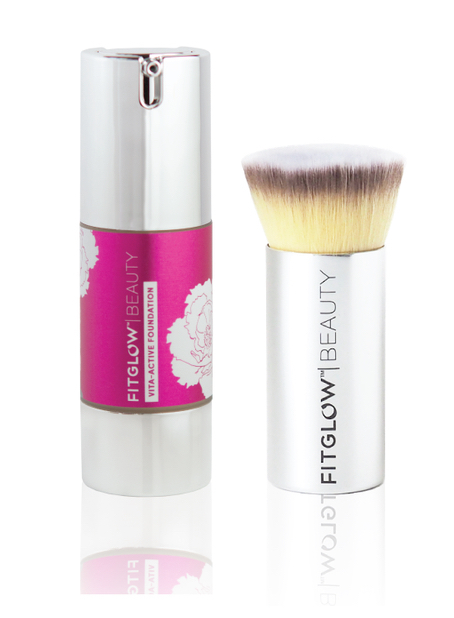 Its not often a brand can excel in BOTH makeup and skincare but Fitglow does it.. time and time again with every product they launch. 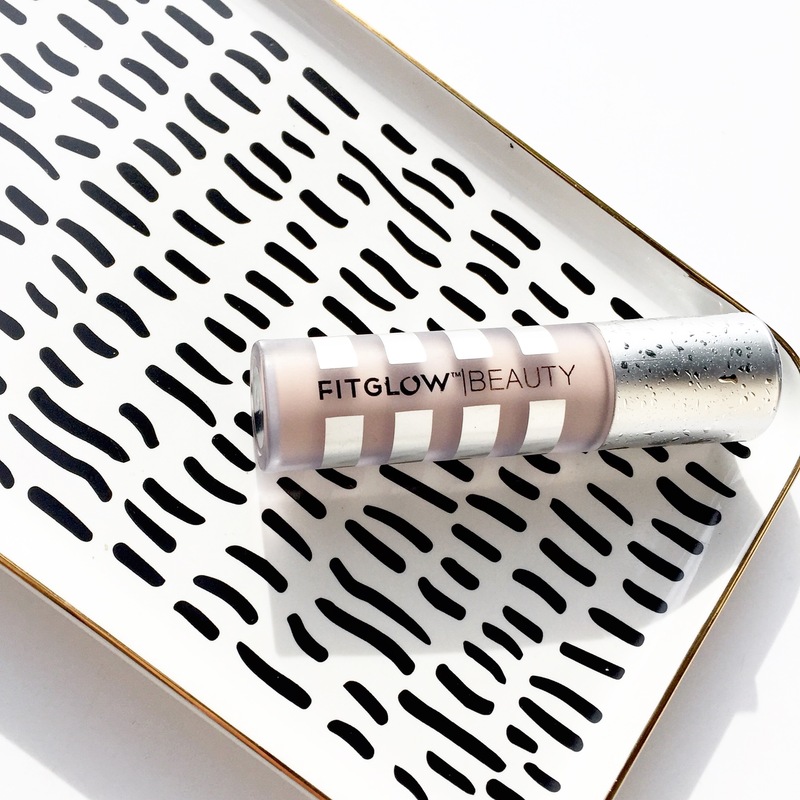 It comes as no surprise that Fitglow is taking over my makeup bag. 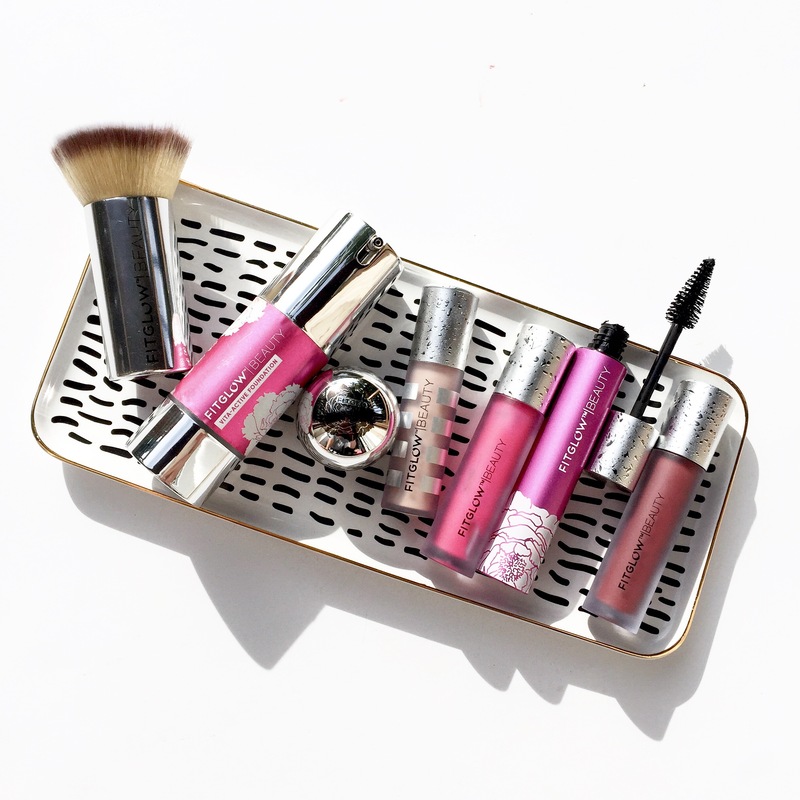 I have quite a few bottles of silver and fuschia pink fitglow products floating around my house and about every colour of every lip product they have created. 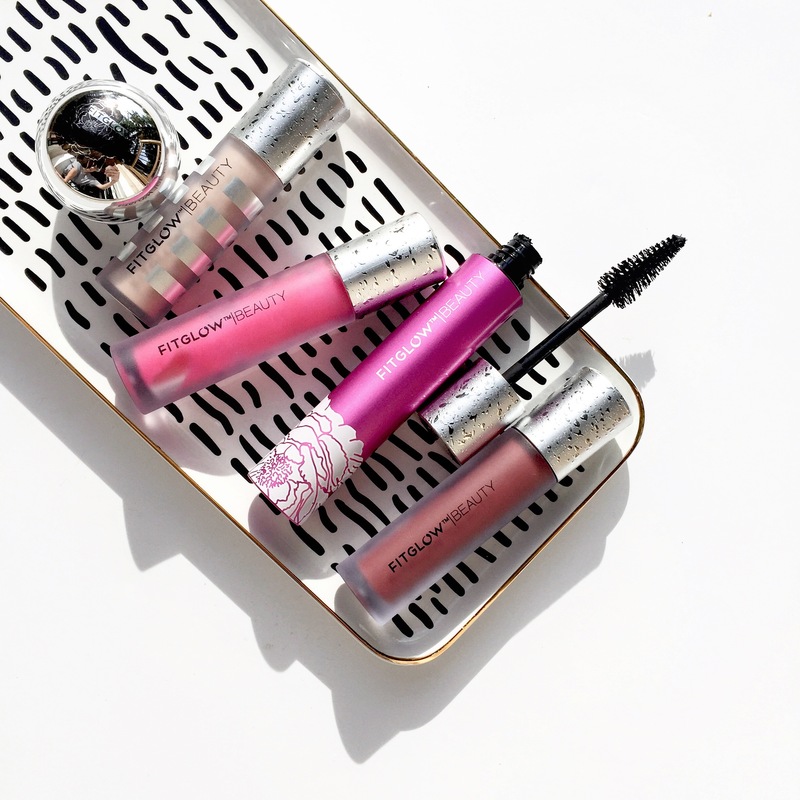 They solved so many green beauty transitions for me (particularly a natural mascara *finally, I could part with conventional brands for one that really worked*, Lip glosses that rival the luxurious status of MAC, and a concealer that is out of this world). 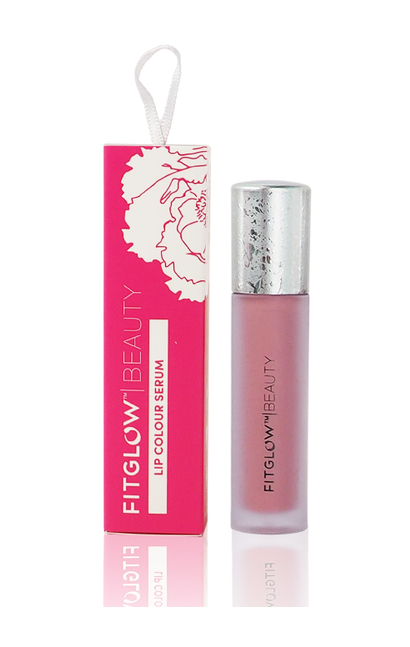 I have yet to find a brand that impresses me more than Fitglow when it comes to every makeup product working wonders. 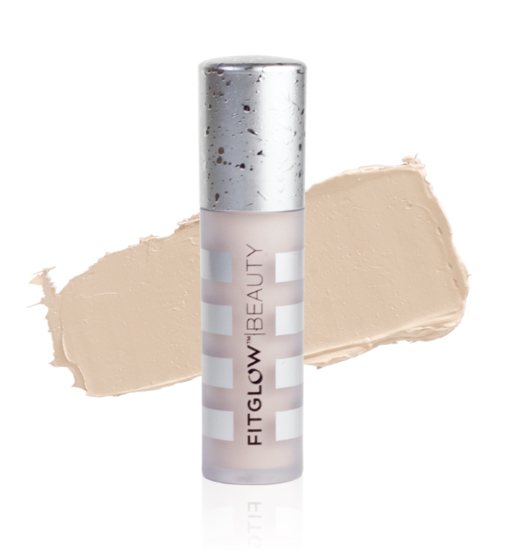 If I had to choose a stranded beach brand.. it would be Fitglow. I decided I would put together an everyday natural look (my go to) to showcase their products below. Check out the products I used that are listed beneath the photo. 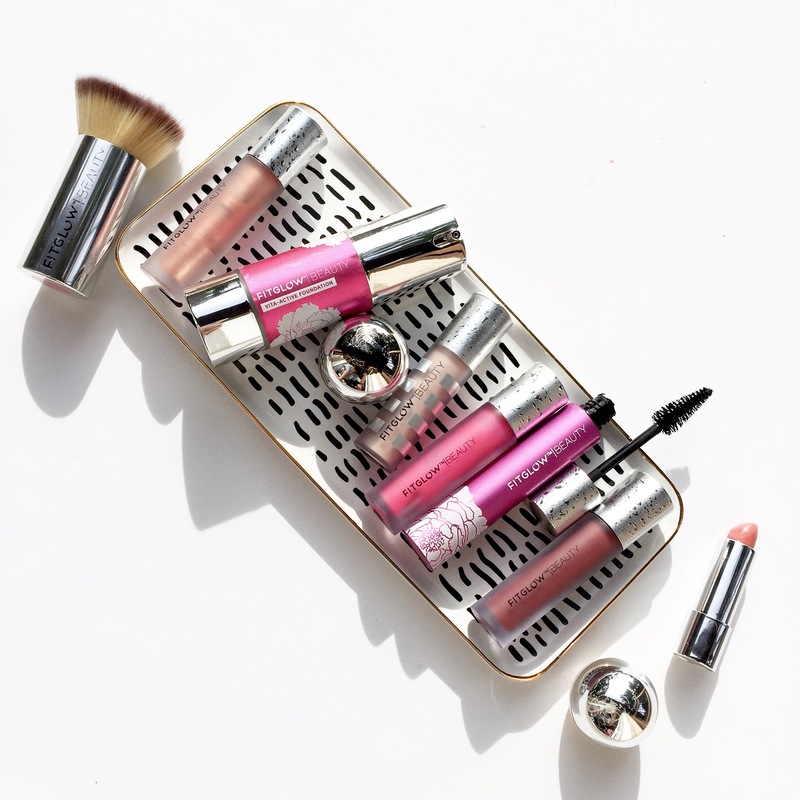 One thing that Fitglow founder, Anna, has been so passionate from the beginning has been creating high performance makeup that isn’t filled with harmful ingredients. But, the key to her makeup line is the fact that she has been so dedicated to creating makeup that is ALSO skincare. All of her makeup is formulated with ingredients that work to improve your skin as you wear them. This is something incredibly unique to the Fitglow Beauty line and something I can appreciate as I have acne prone, redness prone, sensitive skin with a tad of premature aging from sun exposure. I know all too well what conventional makeup does to the skin and that it degrades your skins quality over time. Using conventional products that contain harsh ingredients can really have a huge impact on the health of your skin, I equate it to how our earth looks in areas with high rates of pollution.. it ain’t pretty! So, I’ll begin this guide and review of products from their makeup collection first and end with skincare. 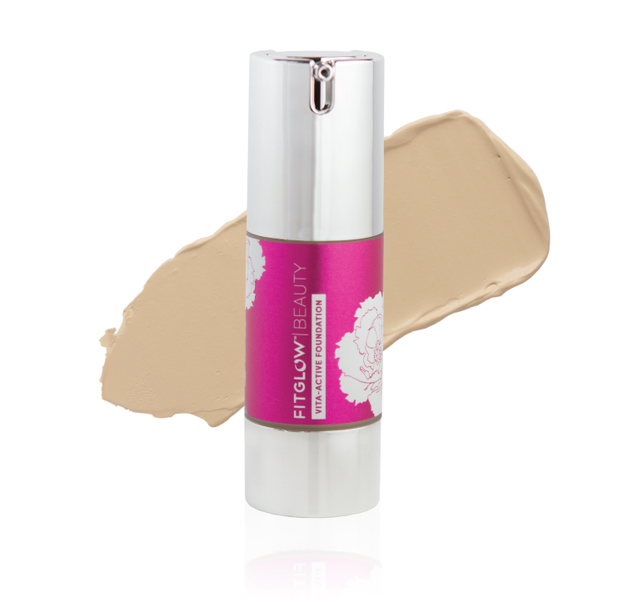 Fitglow Beauty has created a foundation that hits high on my list of recommendations. It is one of the first foundations that I truly liked after trying many years ago and it has remained in my makeup bag for years now. It is a mid coverage foundation that is buildable with a semi matte finish. There are 9 shades in its colour range and it is a cream like consistency. When set properly, I find this foundation lasts all day and works incredibly well with Conceal + to create the most flawless complexion. Additional Skincare Benefits: Vita Active Foundation contains Vitamin C, Botanical Hyaluronic Acid, Seaweed Brighteners, and Beta-Carotene which work to improve collagen levels in the skin, repair sun damage and hyper pigmentation, and help clear the skin. You can read all about its stats and how it holds up to other foundations I’ve tried in green beauty in my ‘Natural + Cruelty Free Foundation Guide’ HERE. 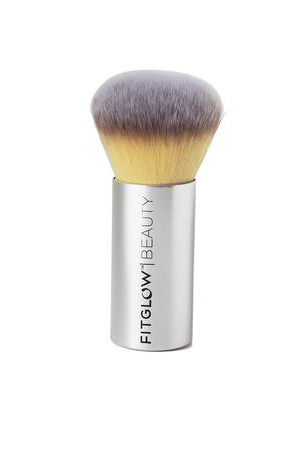 This is one of Fitglows more recent launches and it has to be the BEST concealer I have used.. EVER (this goes for both green beauty and conventional options). 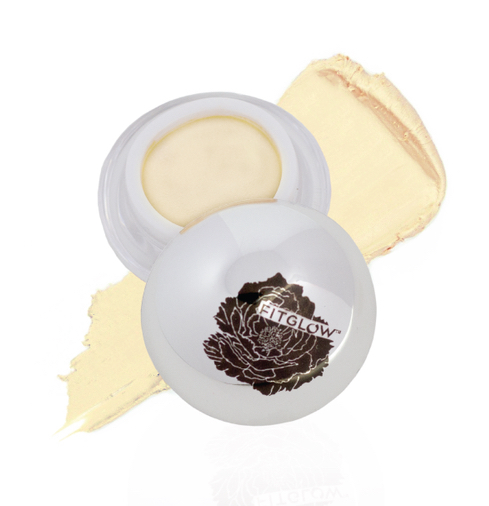 It is full coverage, semi matte in finish and sits on your skin like a second layer of skin. This is one of the only concealers that does not crease under my eyes and it can be used as a full coverage foundation if you so choose (it just comes in a smaller bottle as most concealers do, so i suggest using it this way only for big events). I use the shade C1 as I prefer to brighten under my eyes and have gone a shade down to do so. If I were to use all over my face I would opt for C2. Additional Skincare Benefits: Conceal + contains Phyto Elastin, Organic Green Tea, Vitamin K, and Licorice Root which reduce the appearance of hyper pigmentation and blemished, while strengthening skin to reduce fine lines. Another complexion booster is the Eye Bright. This is a colour correcting concealer that works to visibly brighten the areas of your face you need it most thanks to its yellow tone. I use it under my eyes when I need a pick me up from sleepless nights. I also use it to correct redness if I’m having a really sensitive day (my redness can peak out from behind foundation some days) in my cheeks if needed by lightly dabbing it into the areas and adding setting powder over top. But here’s the deal, I didn’t understand its power until I figured out that wearing it under my foundation was a waste. I now wear this OVER my foundation to brighten and set with a setting powder over top. This really boosts its ability to brighten and colour correct while giving dimension to the areas of my skin that I want to improve. I don’t think I could go without my Eye Bright in my makeup bag. Additional Skincare Benefits: Eye bright contains Organic coffee, probiotic peptides, and plant antioxidants which help to improve puffiness and imperfections as you wear it (particularly under the eyes). This is another fairly new product launch this past year and it is what I like to call the perfect everyday highlighter balm. It is the most gorgeous texture that wont slide off your skin, it dabs in so well to the cheek bones, brow bone, tip of the nose, cupids bow and inner eye corners to create the most flattering highlight. A little goes a really long way and it doesn’t overdo it as I find many highlighters leave the skin too shiny and shimmery. This highlighter will help your skin look more glowing and dewy without appearing like you’ve just dropped fairy dust all over your face. It looks especially stunning when natural light hits your skin, a lit from within glow. If you’re looking for a perfect everyday highlighter then this is going to be your new best friend. Additional Skincare Benefits: Lumi Firm contains “natural plant peptides firm skin while plant collagen fights signs of aging by strengthening skin structure”. The Lumi Duo was release in December of 2018 and this was one I was waiting on for a while. 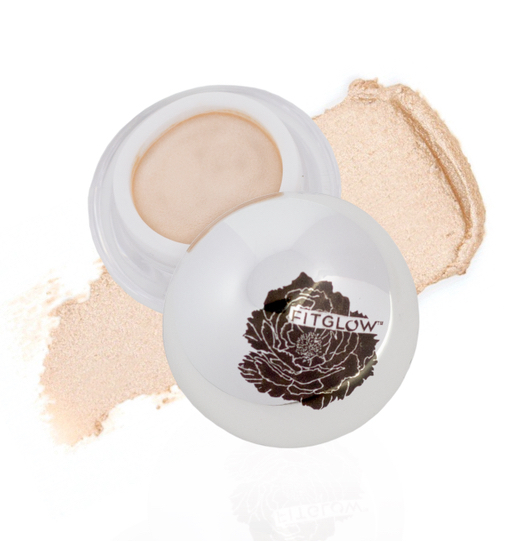 I had been previously head over heels for Fitglow’s since discontinued bronzer “Sculpt” and their pressed powder blushes, but knew that they were working behind the scenes to bring out something better. They did! These two products are in a cream form that you scoop out with your finger and dab on the cheeks, cheekbones, and anywhere you need a little flush or warmth. The formula is so smooth and velvety once its applied to the skin, it blends out like a dream and the pigment of both of these is just STUNNING! 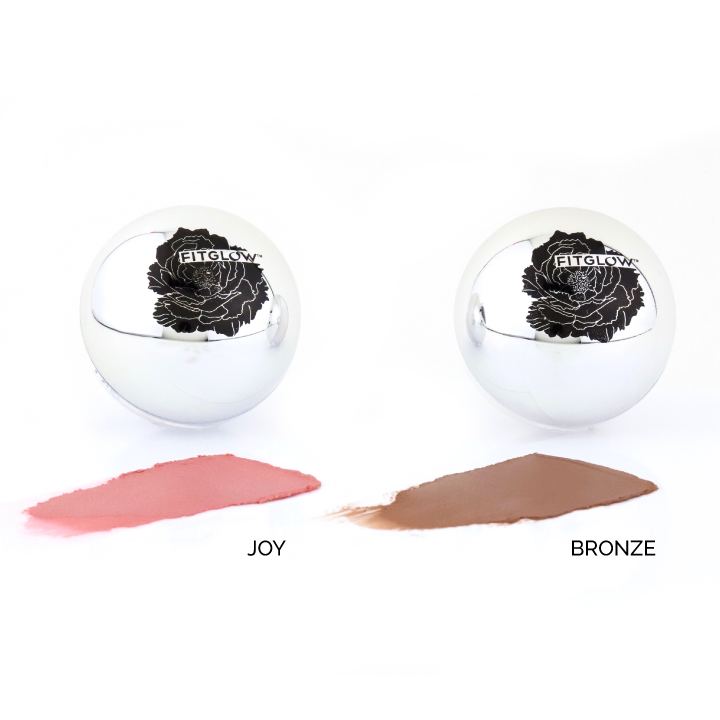 The Lumi Joy Blush is a perfect rose gold and the bronzer is a perfect blend between cool and warm for a bronzer. I am always a little let down when a bronzer gives off an orange tint but this one is FAR from that, like I said, perfect combo of cool and warm. These two jump into the “Lumi family” perfectly as the Lumi Firm highlight (above) is the perfect amount of glow to finish off the look. Additional Skincare Benefits: Lift, firm, and illuminate in one step with LUMI FIRM highlighting balms. Natural plant peptides firm skin while plant collagen fights signs of aging by strengthening skin structure. If you want to set your complexion for a flawless all day wear, then you’re going to need a setting powder. 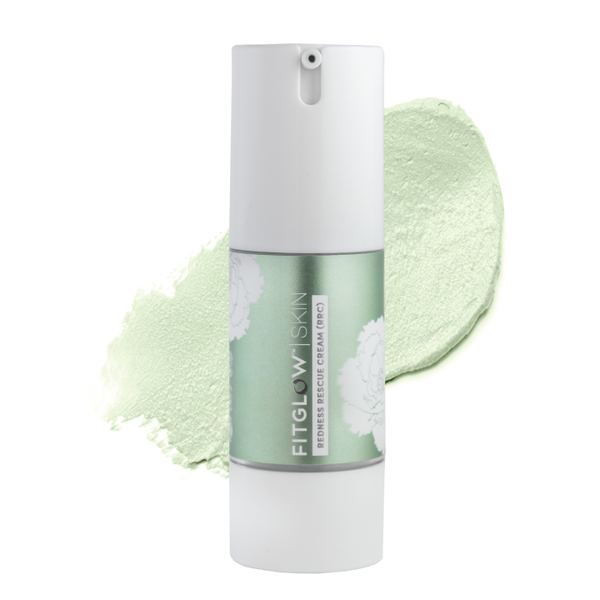 I have found only two setting powders in green beauty that fit the bill and Fitglow is one of them. This powder can be applied all over for a matte finish or if you just want to tone down glow in certain areas (ie. forehead, nose, t-zone, etc.) then a setting powder will be your best friend. You have to use very little of this product, as a little goes a long way and absorbs any excess oil sitting on top of the skin. This also helps if you’re an avid oil cleanser and facial oil gal like myself, and need to reduce the amount of oils coming through makeup and keep them beneath where they can continue to work their skincare magic. 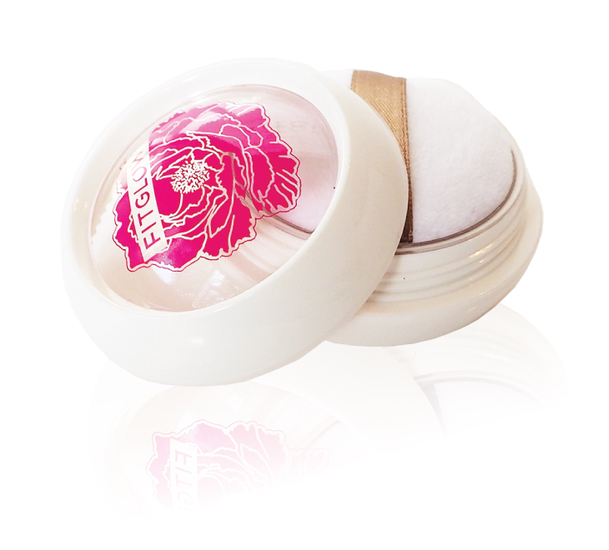 This powder also balances PH levels of the skin while giving you an airbrush finish to your look. THIS Mascara.. I don’t even know where to start. Up until this came out not even a year ago I was still in the struggle between natural mascaras and bouncing back to my old conventional favourite. I was desperate.. 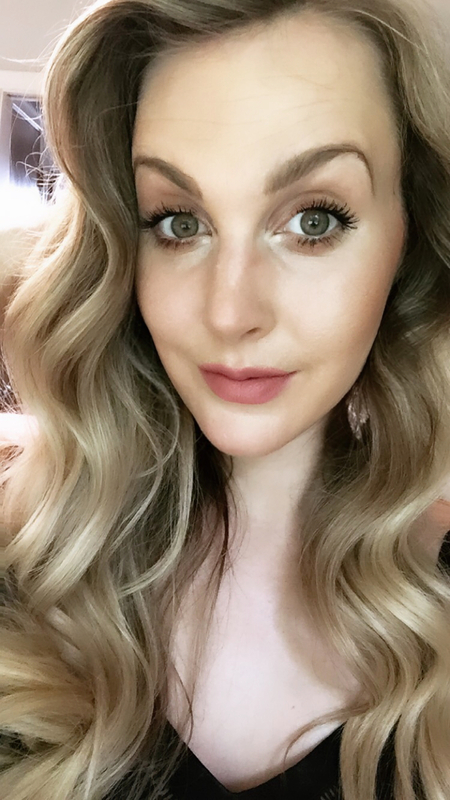 I LOVE mascara and have a very high expectation for the ones that I use so even years and years after beginning my green beauty switch over, I was still struggling with this last piece. Finally, Fitglow came out with their Good Lash + Mascara which doubles as a lash growth serum and yes.. it does work. 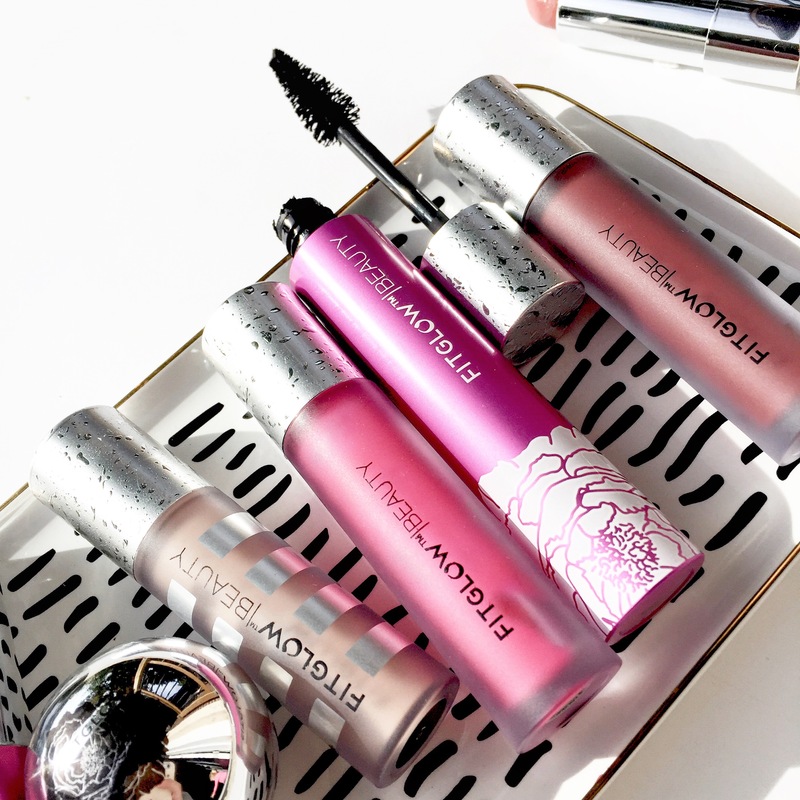 Its a dry formula which to me means better build-ability to give that glam look that will stay and not feel like liquid sitting on my lashes. 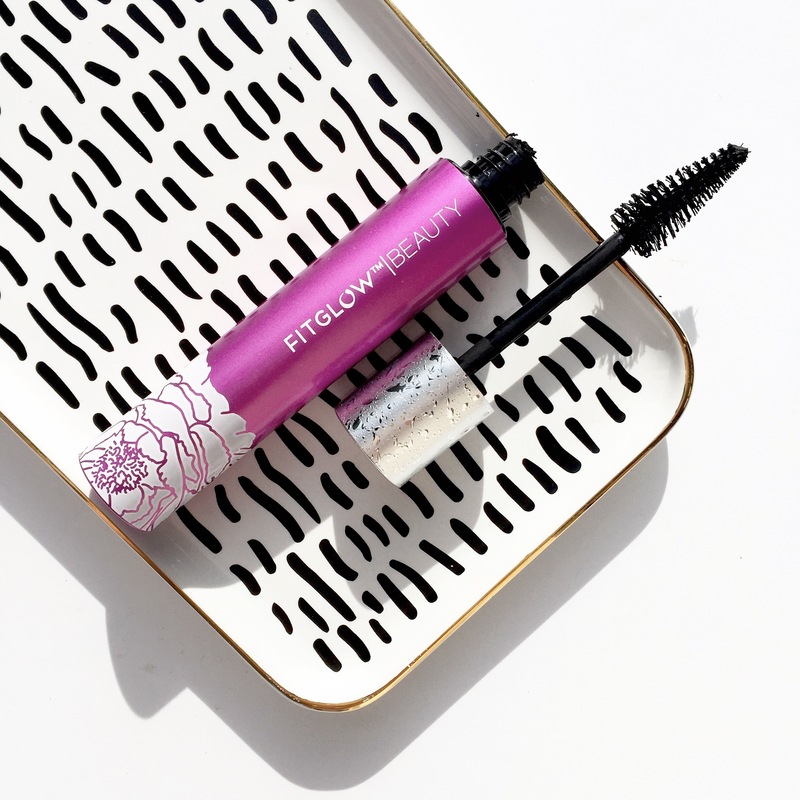 It holds a perfect lash all day long and creates the most voluminous, glam, lengthened lashes. I like this one even better than my conventional favourite and cannot get enough of the performance it provides. I also am a big fan of the mega pine cone brush (which I was honestly not sure if I would like before trying) but it really does help grip the lashes and pull the product through them while separating and lengthening at the same time. If you’re struggling to find a natural mascara, I strongly suggest you give this one a try! If it doesn’t turn out to be your jam (which I’d be surprised) then at least you’ve gotten the benefits of longer lashes from the built in growth serum. There is no doubt that if you’ve been following me for a while on here then you’ve heard me rave about these lip gloss serums. This is by far the BEST lip gloss in green beauty. Why? The texture is so creamy, non-sticky, glides on easily. The colour palette chosen (which is growing at a rapid pace thanks to the fact that everyone is obsessed with this product and keeps asking for more shades) is gorgeous.. filled with true nudes, pink nudes, mauves, corals, pops of brights, and deep tones. Not to mention, they’re formulated to repair the lips as you wear them by halting and reducing fine lines, quenching the lips of dehydration, and naturally plumps the lips. You can read my full review on these lip serums with shade swatches HERE. 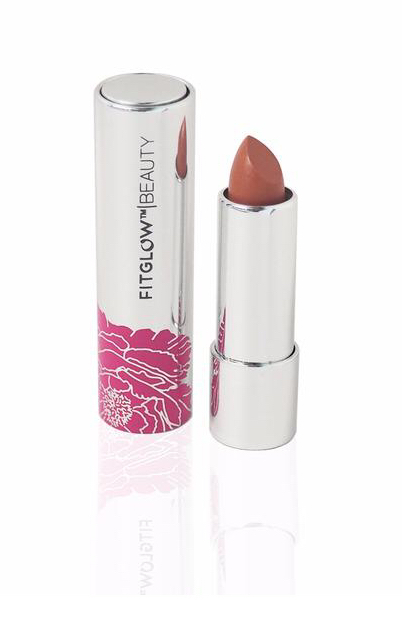 Fitglows 3-in-1 Lip Treatment Creams are another dreamy product for the lips and are their highly coveted lipstick. 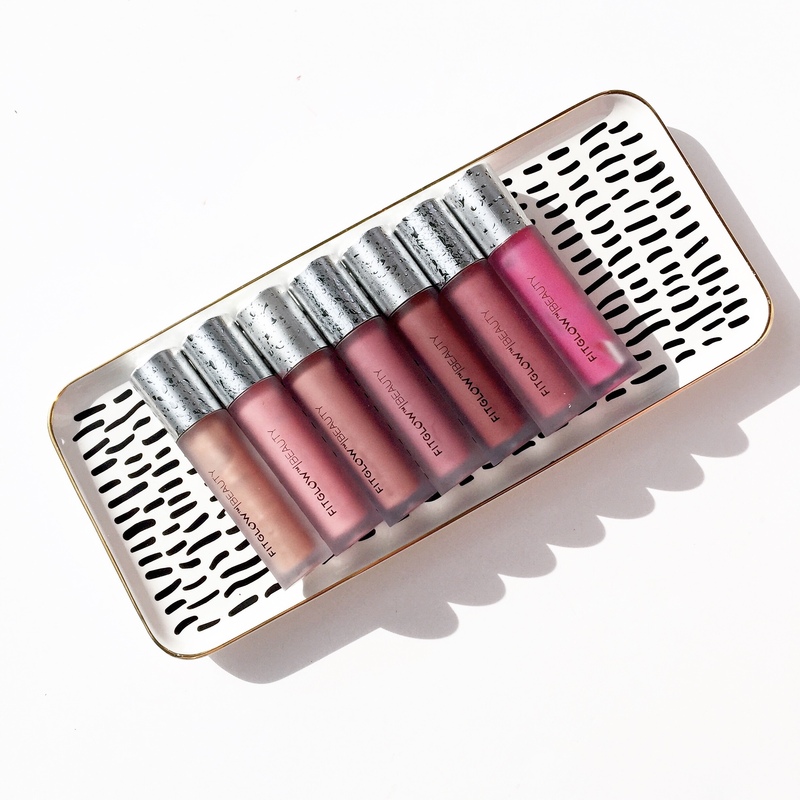 They provide the perfect amount of pigment that can be built upon, apply like a dream due to their creamy consistency, and help repair the health of your lips beneath as you wear them. I have also written a full review of this product along with product swatches which you can read about HERE. These brushes are made free of animal product and are completely vegan. They are created to help provide a flawless finish to your complexion. The Vegan Teddy Foundation Brush is dense with a flat top, making foundation application easy. The Vegan Teddy Round Brush is a soft rounded brush that works well with setting powder, blush and powder bronzers. Next up we have Skincare. 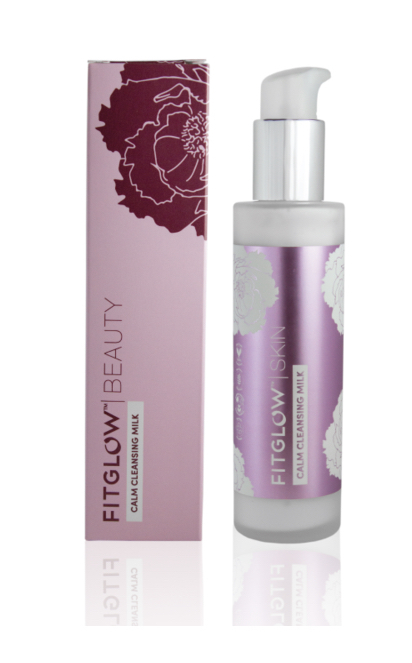 While I have tried All products listed in the makeup section, I have only tried about half of the skincare line from Fitglow Beauty so I will review and cover those only. I have sensitive, redness prone, acne prone skin with subtle fine lines from previous over-exposure to the sun. I have really found a deep love for Fitglows dedication to plant based, cruelty free, high performance ingredients that work synergystically to repair the skin. The Calm Cleansing Milk is a good option for those who prefer a traditional cleanser and have sensitive or redness prone skin. It works well at removing makeup as well and does not irritate the skin. I only used a sample size of this so am not able to speak on any long term benefits, but I think this cleanser is a great fit for those who prefer an effective gentle cleanse that doesn’t dtrip the skin of its natural oils. 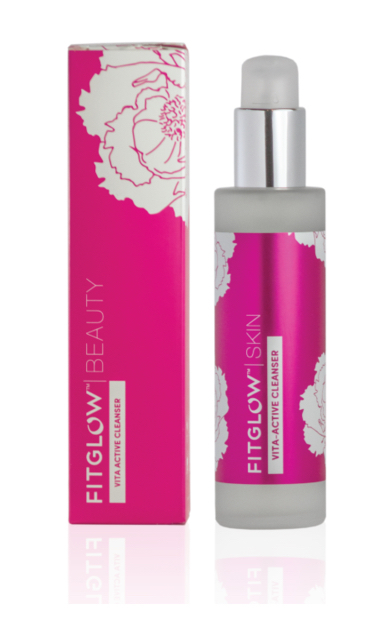 Fitglow’s Vita Active Cleanser is a traditional gel cleanser that removes makeup and debris from skin effectively and efficiently. It does foam up while cleansing and similarly to its counterpart, the gentle milk cleanser, does not strip your skin of natural oils or moisture. This cleanser is great for all skin types and the addition of Vitamin C makes it a great option for those who wish to age gracefully. I personally loved how clean my face felt after using this cleanser. This toner is one of my favourites and it is incredibly multi-functional. Not only does it work to protect the natural moisture barrier of the skin, but it soothes the skin (great for those who experience redness). I use this toner after cleansing in a daily routine, pop it in my purse to refresh my face during a busy day, and use it to set makeup. It also contains Hyaluronic Acid, which is an amazing agent for hydrating and protecting your skins natural hydration.. it can hold up to 1000x its weight in water within the cells. Aloe barbadensis (Aloe) Leaf Juice, *Ascophyllum Nodosum (Kelp) Extract, *Aphanizomenon Flos Aquae ( Blue Green Algae) Extract, Hyaluronic Acid, Salix nigra (Black Willowbark) Extract, Rosa Damascene (Rose) Matricaria Chamomilla (Camomile), Sodium Chloride (Dead Sea Salt), Citric Acid. This serum has been on my shelf for two refills so far. The reason I love it most? It helps dramatically reduce hyper-pigmentation and acne scarring that I’ve had for years since dealing with major breakouts. It has incredibly high concentrations of skin tone enhancing vitamins and minerals and they work SYNERGYSTICALLY (which means the ingredients boost each others activity for a more powerful action on the skin). This is a great option for those who want a more even complexion. If you’ve ever heard about the amazing actions of retinols for the skin and how its production of rapid cell turnover has helped diminish signs of aging and improved skin conditions like acne, then you have likely also read that there is a long list of side effects that comes with conventional retinols. This is why it can be a great option to find a PLANT BASED RETINOL that provides the same benefits without risking any of the side effects that retinols prescribed by your dermatologist could potentially head. This is one of my FAVOURITE plant based retinol options for face serums. It smells amazing, is lightweight, sinks quickly into the skin, and sits well under other skincare products like face oils, moisturizers and balms. It is still important to be cautious of the fact that retinols are NOT recommended as a safe option during pregnancy.. I pause my use of this retinol serum when pregnant and resume using it afterwards. “Vita Youth Oil brings your skin back to youthful harmony using rare and luxurious active oils combined with plant stem cells and retinol. The harmonious combination of actives deeply penetrates skin to awaken healthy skin cell development, smooth lines, and revitalize skin texture. Skin is left hydrated, plump, and glowing. Fitglows redness rescue cream is another staple in my makeup and skincare regime as I have suffered with redness prone, sensitive skin for as long as I can remember. I use this green tinted cream on days when my skin isn’t behaving beneath my makeup (its tint works so immediately reduce redness I experience in my cheeks). It also contains calming ingredients that work to reduce the redness at the source as you wear it. This isn’t something I personally wear everyday but when I have days where my skin is blushing or even after too much sun exposure to help calm and reduce the look of redness. It also sits well on its own for those who want something to help balance the tone of their skin instead of wearing make up to balance out redness. A perfect option for Men who experience redness and don’t want to resort to using concealers or foundations. “Our proprietary c3 Organic Calming Plant blend repairs stressed skin, improves skin strength and calms irritation. Wakame Seaweed Extract increases skin oxygen consumption promoting healing and collagen production.Green mineral tint immediately reduces the look of redness while local ORGANIC GRAPE SEED OIL hydrates without greasiness. Natural Skin Doctor Approved. 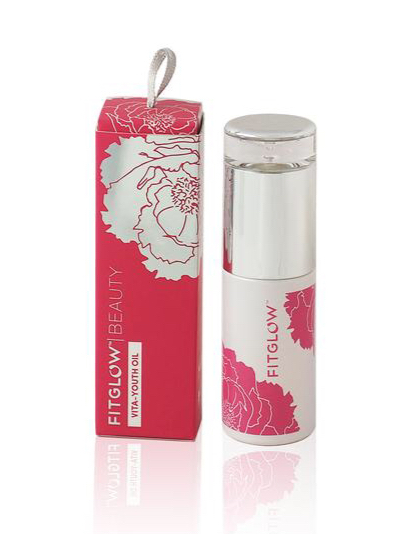 I have used Fitglow for YEARS now and it is a brand that continues to become empties and re-purchases on my shelf. 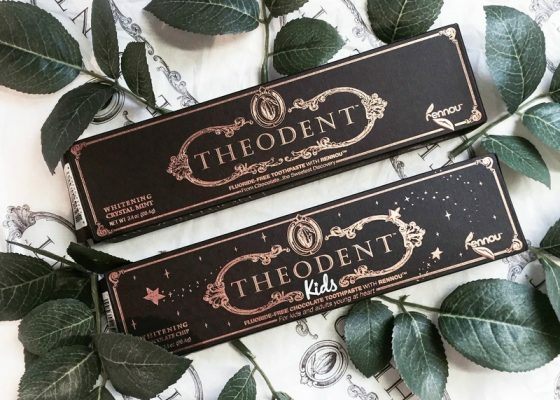 It is by far my favourite green beauty makeup brand collectively, and I love that they are always working towards putting out products that truly work. You can check out Fitglow’s full website HERE. Use my discount code: BLOOM15 for 15% off your order at check out.